Remove the nut, bolt, 3 clips and floor cover. 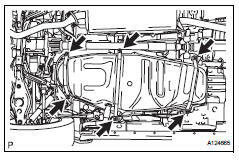 Remove the 2 nuts, clip and floor under cover. 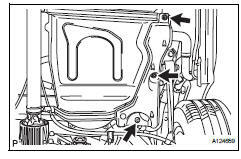 Remove the 2 bolts and disconnect the parking brake cable. 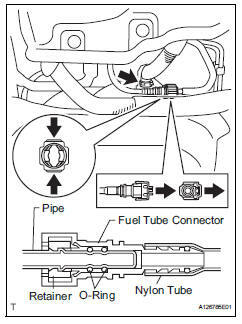 Pinch and pull the main tube connector to disconnect the connector from the pipe. Check for foreign matter in the pipe and around the connector. Clean if necessary. 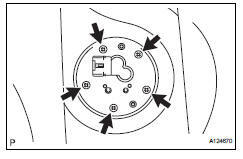 Foreign matter may damage the o-ring or cause leaks in the seal between the pipe and connector. Do not use any tools to separate the pipe and connector. Do not forcefully bend or twist the nylon tube. Check for foreign matter on the pipe seal surface. Clean if necessary. Put the pipe and connector ends in plastic bags to prevent damage and foreign matter contamination. 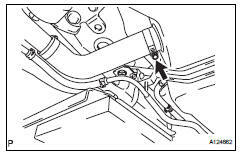 If the pipe and connector are stuck together, pinch the connector between your fingers and turn it carefully to disconnect it. 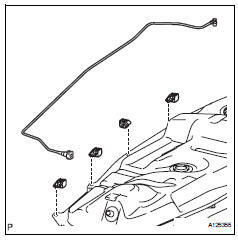 Disconnect the evap hose from the tank. 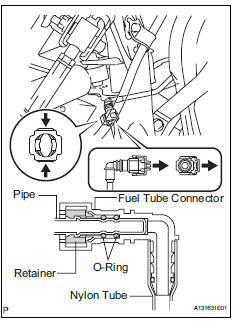 Disconnect the filler pipe hose from the fuel tank. 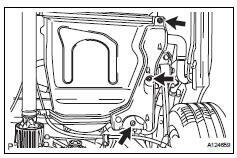 Disconnect the breather hose from the fuel tank. Remove the 3 bolts and filler pipe protector. Remove the 2 bolts and filler pipe. Set a mission jack underneath the fuel tank. 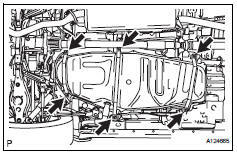 Remove the 6 bolts and 3 fuel tank bands. Slightly lower the mission jack. Be careful not to cut the wirings. 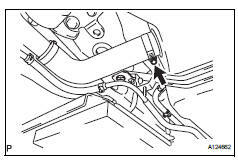 Fold back approximately half of each cushion rubber so that the wire harness can be detached from the fuel tank in the step below. 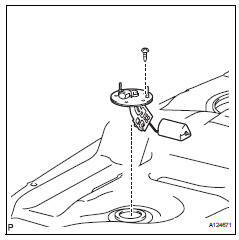 Disconnect the fuel pump connector and sender gauge connector. Before this procedure, check the connector for dirt, mud or other contamination. 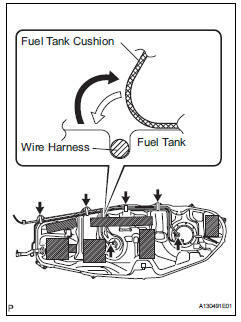 Detach the wire harness from the 4 clamps and remove the fuel tank. 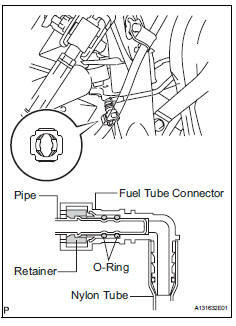 Remove the tube from the fuel tube clamps. 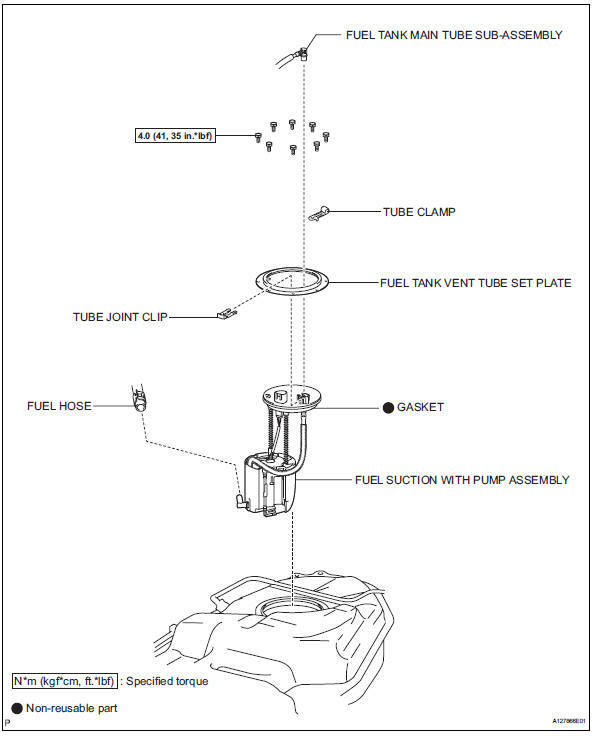 Remove the 4 tube clamps from the fuel tank. 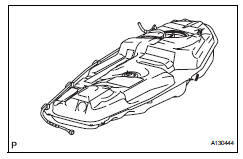 Remove the 7 fuel tank cushions from the fuel tank. Remove the 5 screws and sender gauge. Install the sender gauge with the 5 bolts. 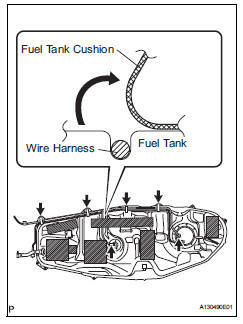 Install 7 new fuel tank cushions onto the fuel tank as shown in the illustration. Install the 4 tube clamps to the fuel tank. Install the tube with the 4 clips. Set the fuel tank on a mission jack. Lift up the mission jack. Fold back the 2 cushion rubbers. Connect the fuel pump connector and sender gauge connector to the fuel tank. Attach the wire harness to the 4 clamps. 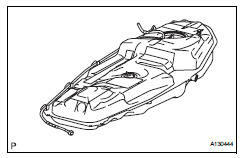 Install the 3 fuel tank bands with the 6 bolts. 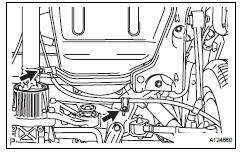 Install the filler pipe with the 2 bolts. Install the filler pipe protector with the 3 bolts. 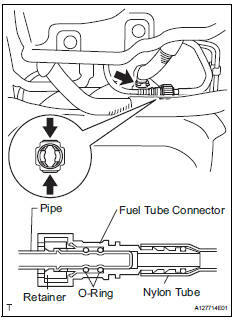 Connect the filler pipe hose to the fuel tank. Connect the fuel tank breather hose to the fuel tank. Before installing the tube connector to the pipe, check the connector for damage and foreign matter. Check that the connector and pipe is securely connected by trying to pull them apart. Connect the main tube connector to the pipe. Push the 2 parts together firmly until a "click" sound is heard. Check that the connector and pipe are securely connected by trying to pull them apart. 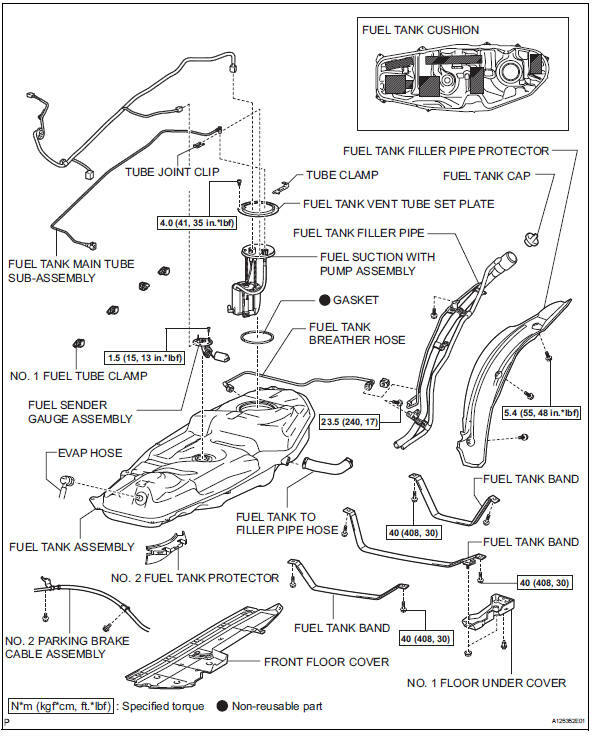 Connect the evap hose to the fuel tank. Install the floor cover with the clip and 2 nuts. Install the floor under cover with the 3 clips, bolt and nut. 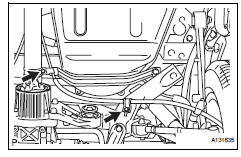 Install the parking brake cable with the 2 bolts.